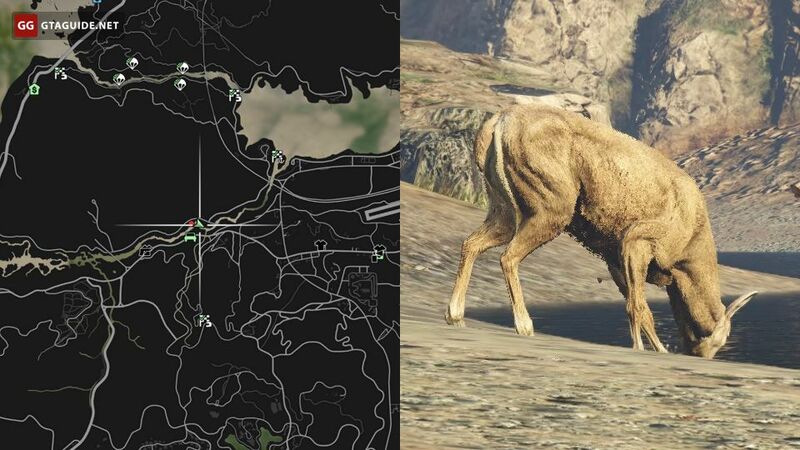 Those players who previously played GTA V on PS3 or Xbox 360, and now play on PS4, Xbox One or PC with their Social Club profile, can participate in the Wildlife Photography Challenge. 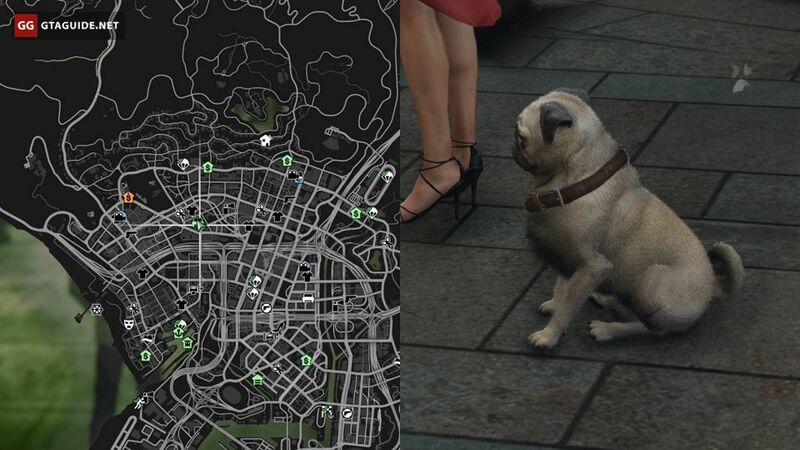 After completing the mission of Beverly Felton “Paparazzo”, Franklin will receive a letter with the details. In total it’s required to take 20 photos. 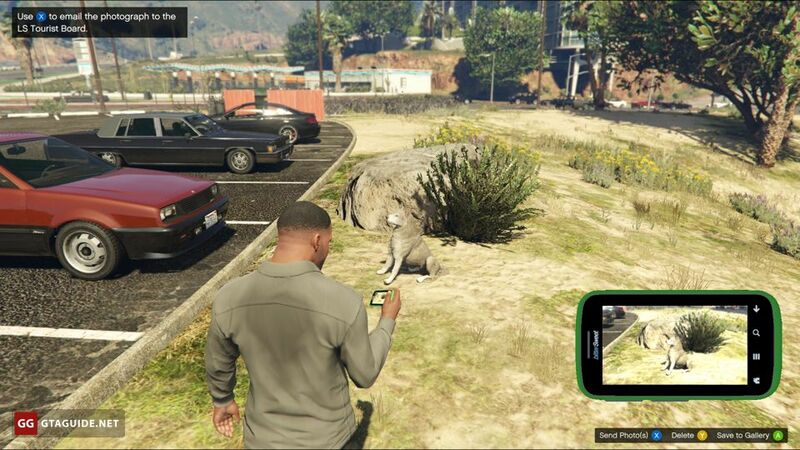 You need to take photos with your cellphone using the Snapmatic application. 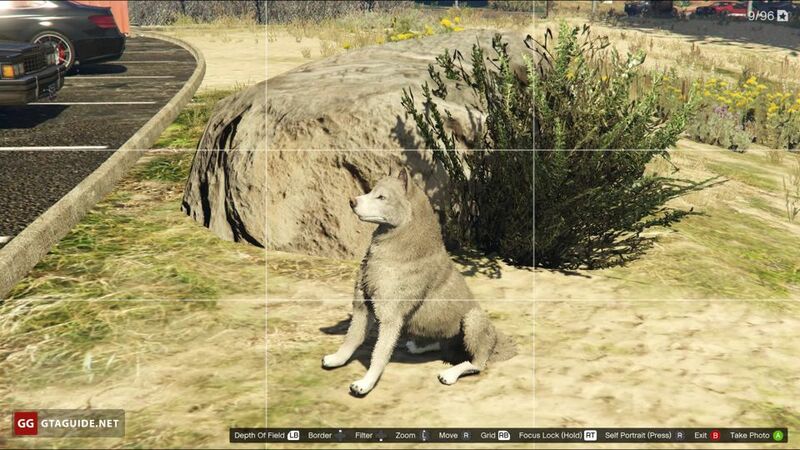 If the snapshot of the animal has turned out to be nice, an additional option will appear in the menu. 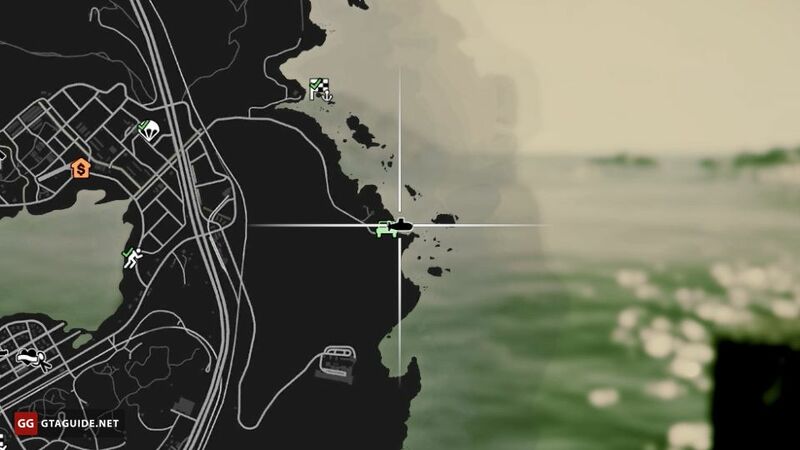 You need to click “Square” on PS4, “X” on Xbox One or Space on PC, then select LS Tourist Board from the contact list and send them a photo. 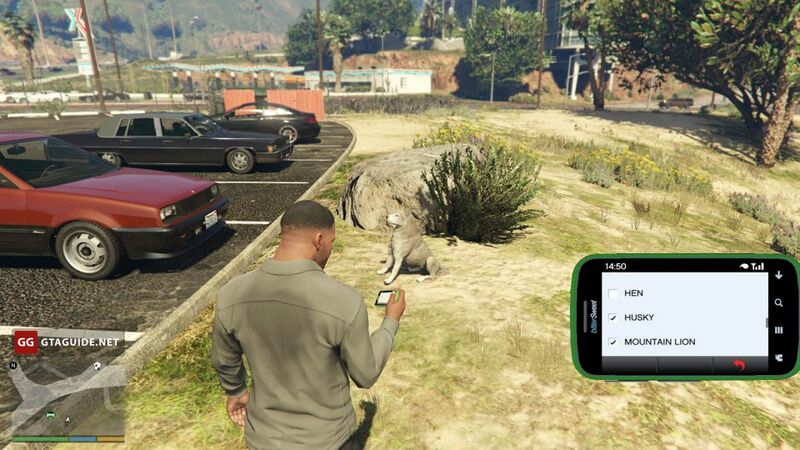 In response, a letter with a checklist will appear where the photographed animals are marked. The appearance of animals is not always strictly predetermined, but certain regularities exist. Also, it should be borne in mind that when you driving fast, you can meet mainly wild animals, such as deer, rabbits, coyotes, etc. 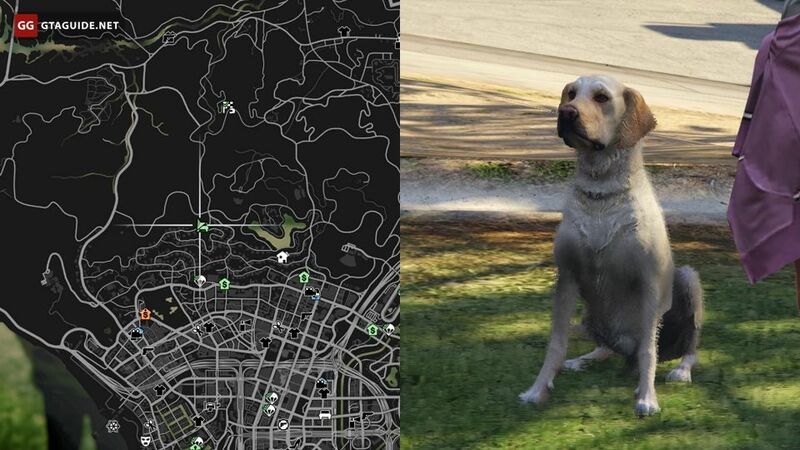 To meet, for example, dogs, it is necessary to walk leisurely on foot on territory where they appear. Chicken-hawk, cormorant, crow — can be found in a mountainous area. 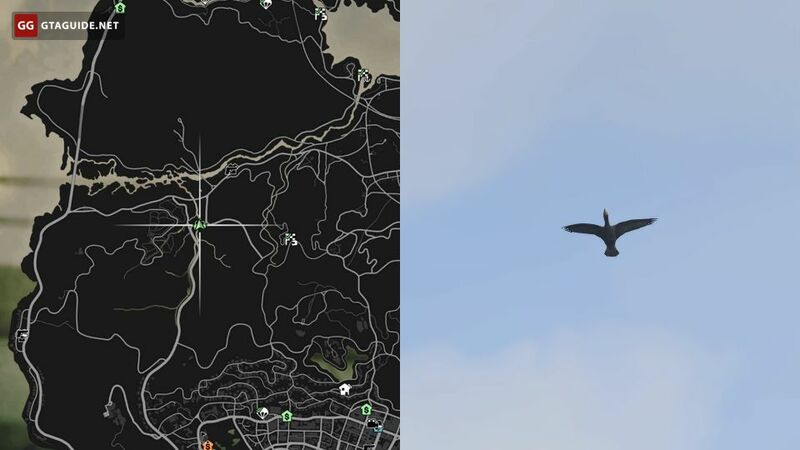 If you find one of the birds, most likely, you will find the other two in the same place. The requirements for a photo of a hawk are higher, it needs to be photographed larger than the other two birds. 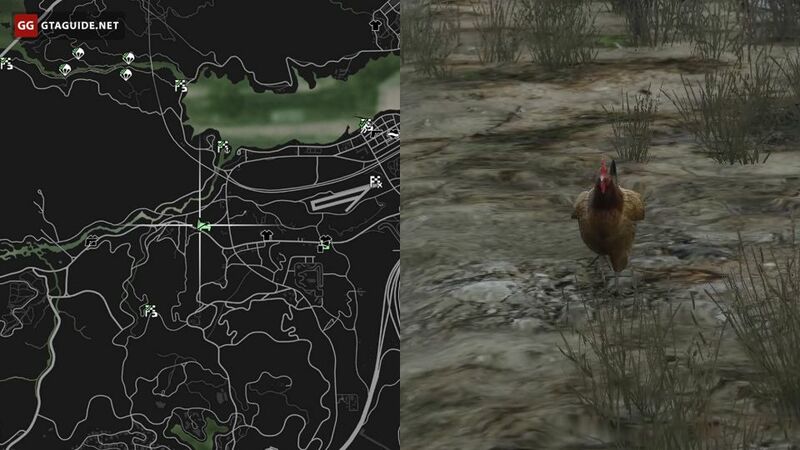 Hen — can be found in several places in the countryside and only during the daytime. In the screenshot — a farmhouse in the Grand Senora Desert. Next to it, you can usually also photograph a boar, as well as the birds mentioned above. 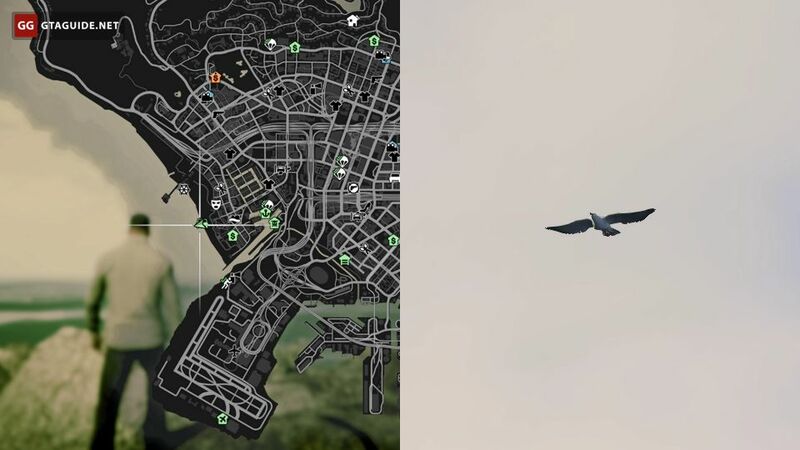 Seagull — can be found near the ocean along the coastline. 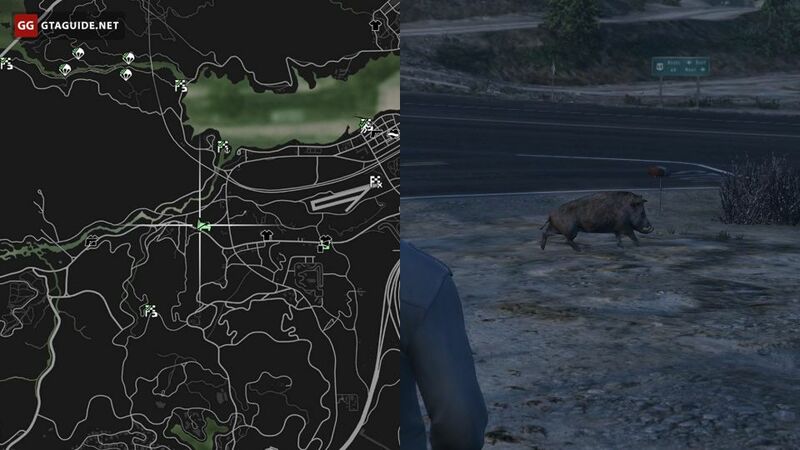 Boar — can be found in wild places and in the countryside. 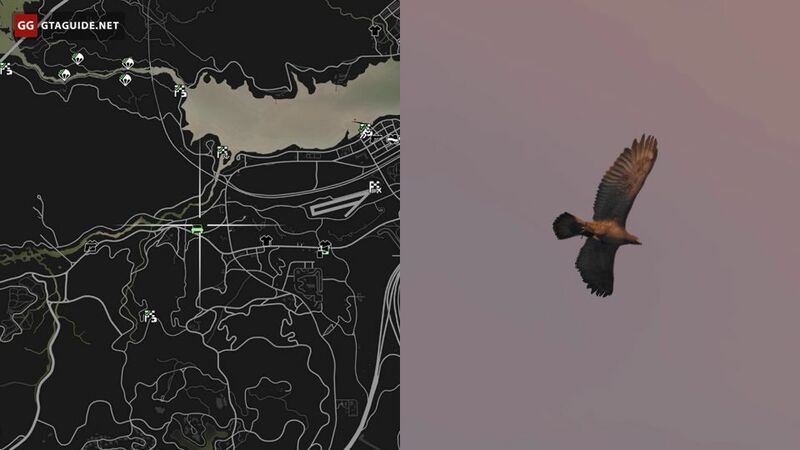 Almost certainly will be at the farmhouse in Grand Senora Desert, where you can also take pictures of hen, cormorant, crow, and hawk. Coyote — in the desert area, you can often meet it at the side of the road. 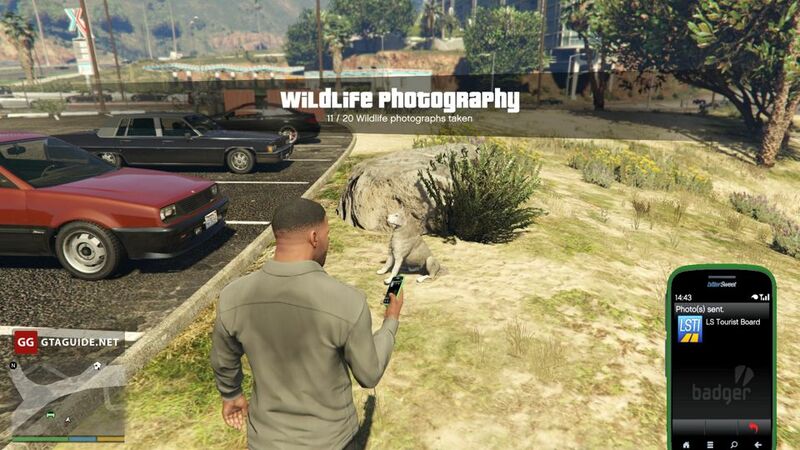 In this case, the coyote will always try to escape from Franklin, so you can shoot it from the stun gun and take a good photo while the animal recovers. 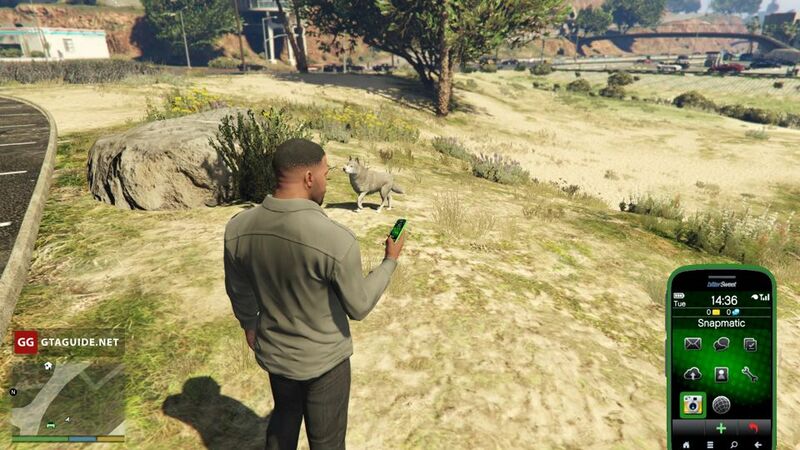 Apparently, the coyote sustains an unlimited number of shots from the stun gun and doesn’t die. 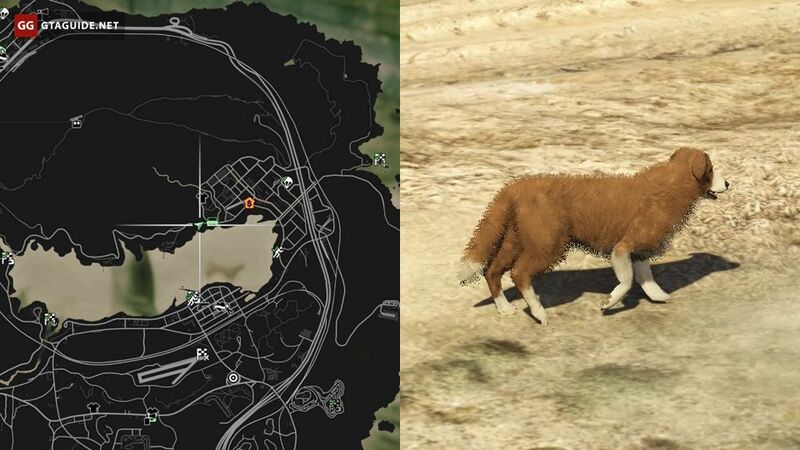 An alternative is to track down the coyote so that it doesn’t notice Franklin and take a picture from a long distance. Deer — found in a wooded area, quickly escapes upon detection Franklin. To take a good photo, you need to track down the deer, without frightening it, and shot it from afar. 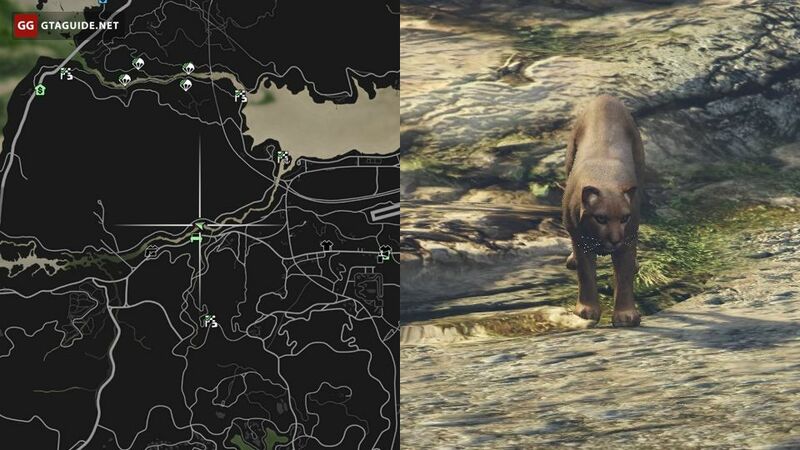 Mountain lion — can be found all over San Andreas in a wooded area. The lion must be tracked so that he does not notice Franklin and does not attack. 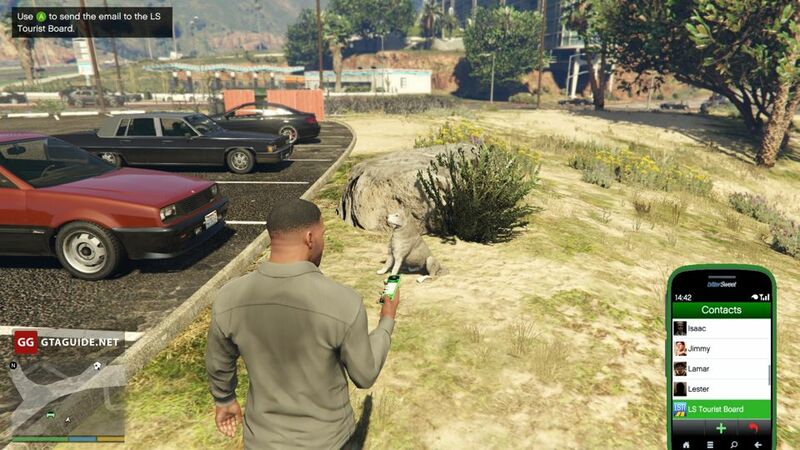 An easier way is to take a photo from there, where the lion will not get Franklin. 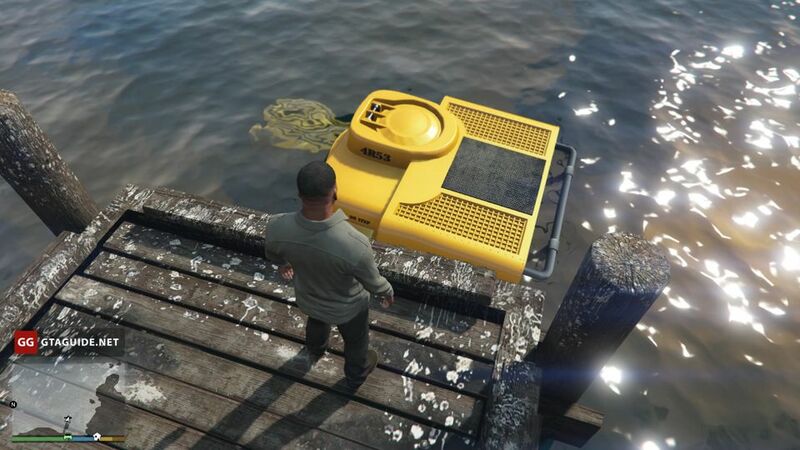 You can stay on the roof of the car or into the water to the waist. Rabbit — it is widely distributed in forests and any other area where there is wild grass. Rabbits aren’t too fast, so it’s easy to take a good photo. 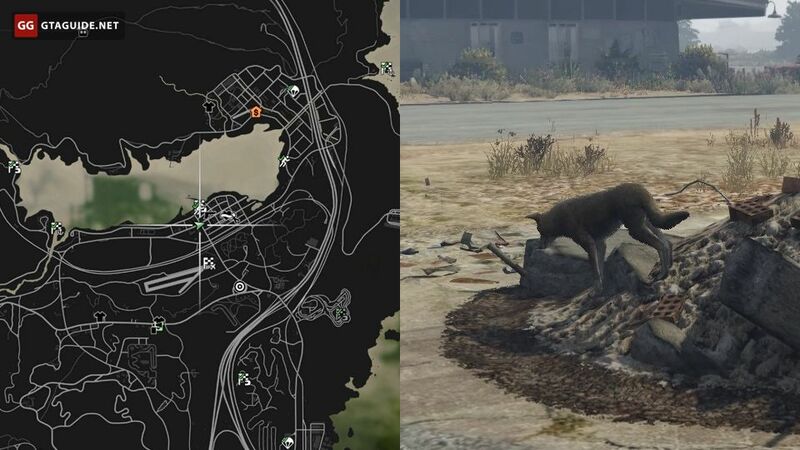 Cat — many of them at an abandoned hotel in Sandy Shores. 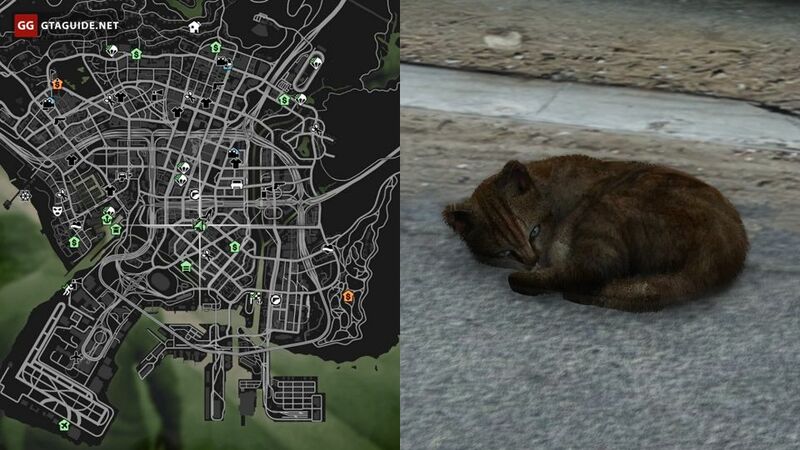 However, cats can be found in many alleyways of Los Santos. 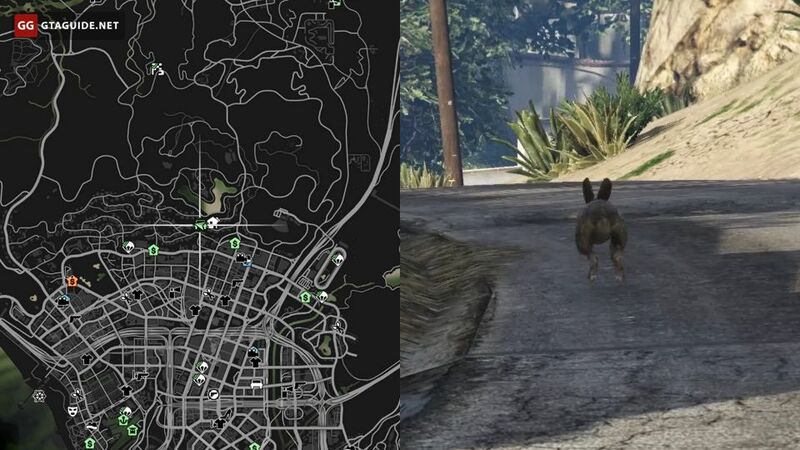 For example, you can find two cats in Strawberry near the first Franklin’s house. 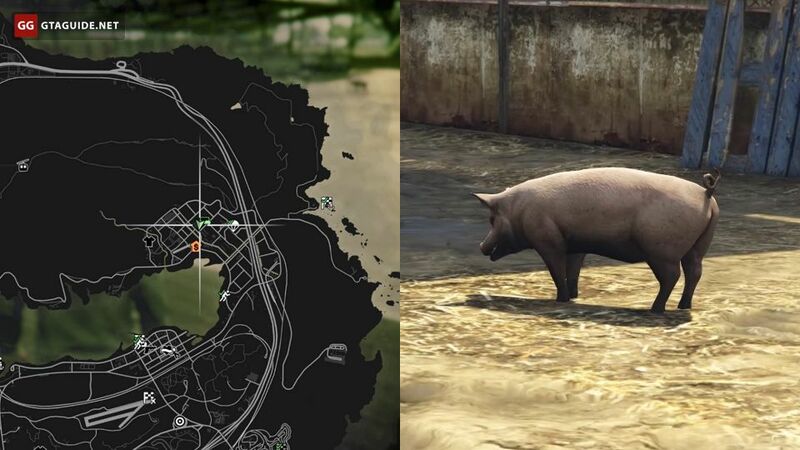 Cow and pig — you can find them on farms during the daytime and photograph both animals at once. 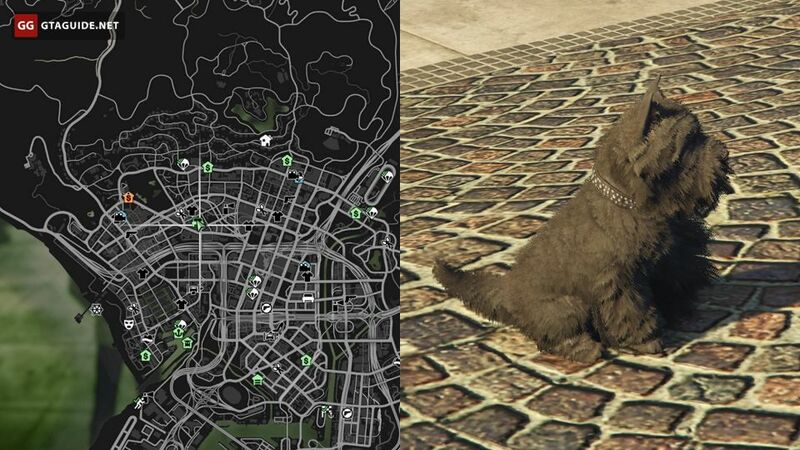 Small dogs: Poodle, Pug, West Highland Terrier — come to Rockford Hills to the Vangelico jewelry store. In this lane and nearby in the daytime there is always one of three necessary breeds, but only one at a time — even if there are a lot of dogs, they will all be of the same breed. 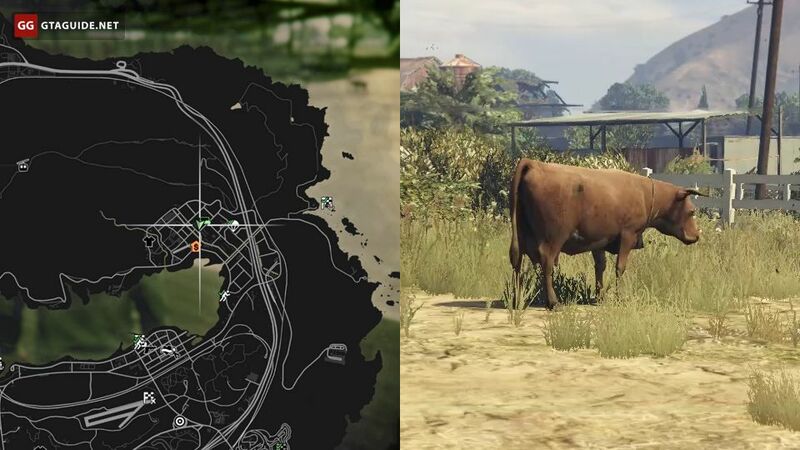 There are no problems here, just go to another area and then go back. 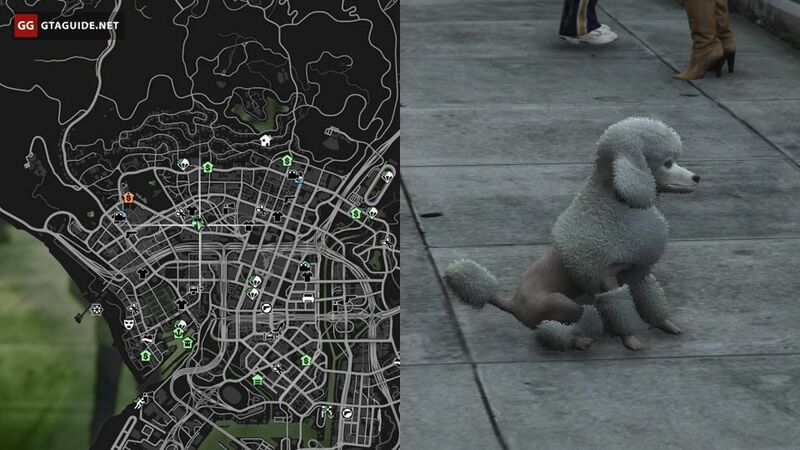 Most likely, there will be dogs of another breed. Big dogs: Border Collie, Husky, Retriever, Rottweiler — to take a photo of the Rottweiler, it’s easiest to take a picture of Chop, because Its location is always known and he is accessible even at night. 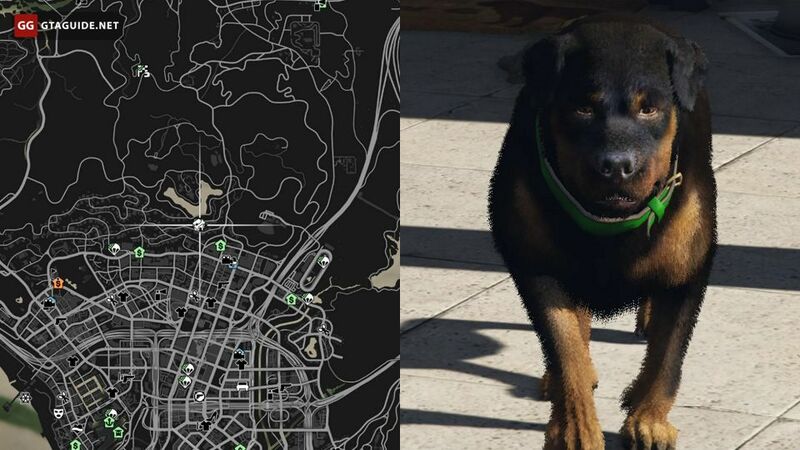 All other large dogs can be found at daylight on the site in Vinewood Hills (see the screenshot). If there is no necessary breed, the scheme of action is the same as with miniature dogs. 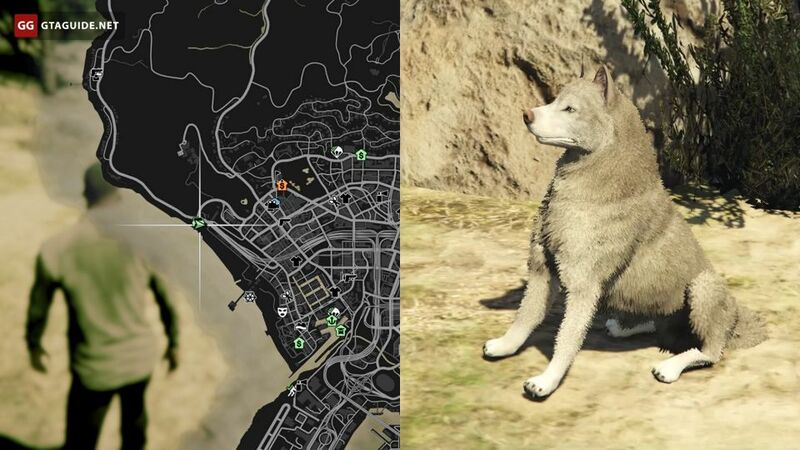 Also in the screenshots, you can find the places where the Border Collie and Husky appear. 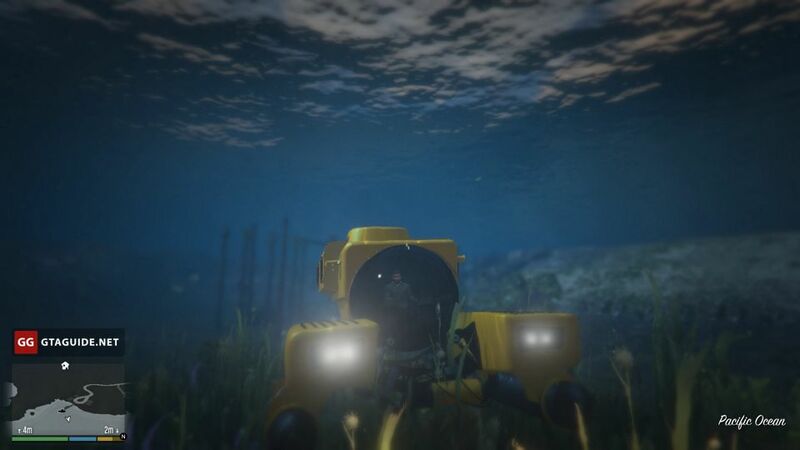 After sending all 20 photos, Franklin will receive a letter from the LS Tourist Board with gratitude and the opportunity to use the Kraken bathyscaphe, which will be at the pier on the east coast of San Andreas. 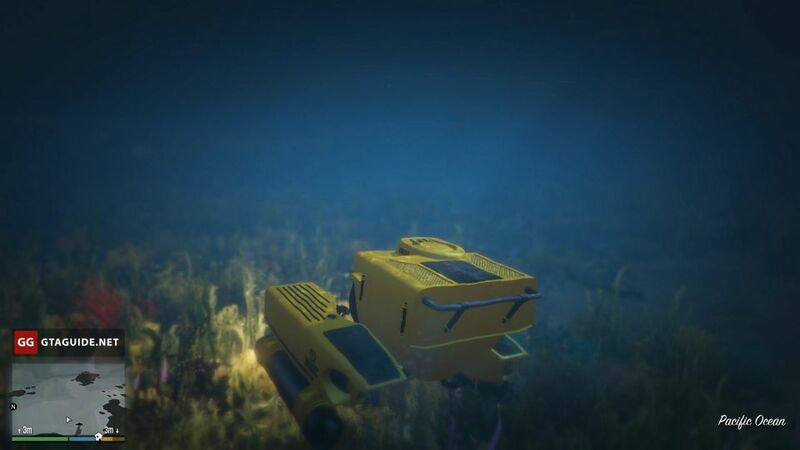 The bathyscaphe is indicated on the map by the icon of the submarine, and all three protagonists can use it.